In 1829 the then Spanish governor of California gave Jose Antonio Rocha a tract of land know as Rancho La Brea. In 1865 Rocha sold the land to Major Henry Hancock for $2.50 per acre and was paid with gold mined during the 1849 California gold rush. The area’s first subdivision was created in 1881 by Germaine Pellissier, a sheep rancher and native of the French Alps, when he parceled out 40 acres of his property. A.W. 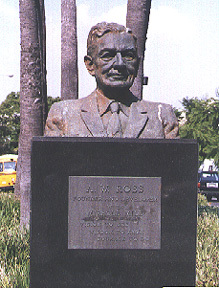 Ross Monument at Wilshire Blvd. and Curson Ave. In the years just prior to the 1900s Wilshire Boulevard was a dirt road that rambled through barley fields and cattle ranches. Over the next 40 years Wilshire steadily expanded westwardly, growing from a country road to a major thoroughfare. Initially, Wilshire was subdivided with restrictions to encourage the development of an exclusive residential neighborhood. The dramatic changes that would earn Wilshire the nickname “Fifth Avenue of the West” began to take place in 1920 when A.W. Ross purchased 18 acres along the boulevard. The section of land Ross purchased was between LaBrea and Fairfax along Wilshire. He selected the area because of its close proximity to Los Angeles’s wealthiest residential districts of the day: Westlake, Hollywood and Beverly Hills. He saw the development of the tract in terms of the automobile, whose popularity had grown greatly during the late teens. Ross was planning to develop a suburban shopping center. At that time, Wilshire Boulevard was a dirt road. 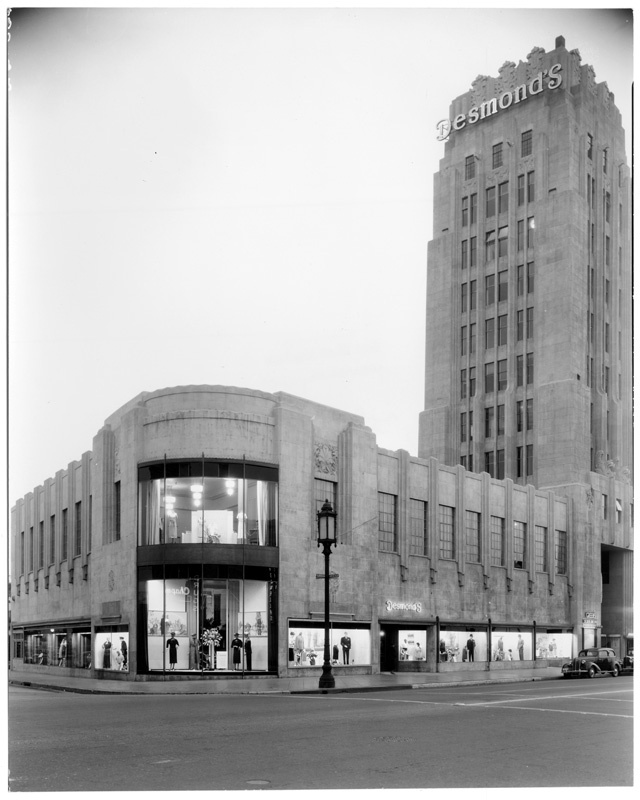 It’s most prominent structure was a billboard which read “Wilshire Boulevard Center- A.W. Ross Development.” His friends thought he was crazy but Ross could envision the possibilities. His dream became a reality and within 25 years and mid-Wilshire went from barley fields to million dollar properties. “Ross’s folly” became the “Miracle Mile” when in 1928 one of Ross’s friends dubbed the Wilshire strip of land, “The Miracle Mile”. Miracle Mile in Los Angeles – History and Architecture by Ruth Wallach. “How the Miracle Mile Got Its Name” by Nathan Masters.